With the advancement of technology, people are now bestowed with the unique immersive experience of virtual reality for business, education and entertainment. But that’s actually old news. 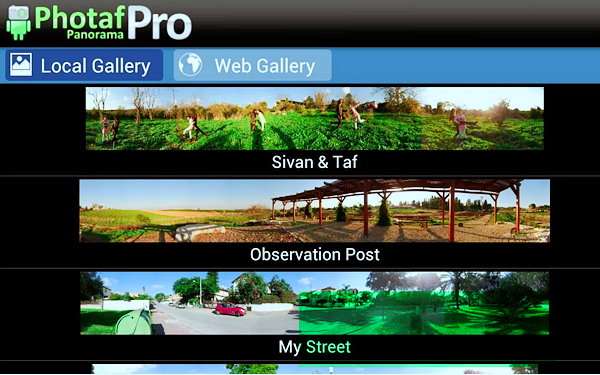 Today, you too can actually create and capture vista images of just about everything around our 360-degree view. Using 360-degree camera apps, your Android smartphones with panoramic camera capabilities can be transformed into one sophisticated 360-degree camera that can capture complete roll around scenic images with spectacular details. And to achieve that, you simply need to install any of the following 9 best 360-degree camera apps for Android. When it comes to capturing 360-degree pictures of flawless quality, Camera360 sets the touchstone for all other apps. In fact, its name has become a byword for creating beautiful pictures that automatically rub out some of God’s little imperfections in our selves. Attesting to this is the nearly 1 billion people using this app from around the globe. And that’s almost one-fifth of humanity my friend. 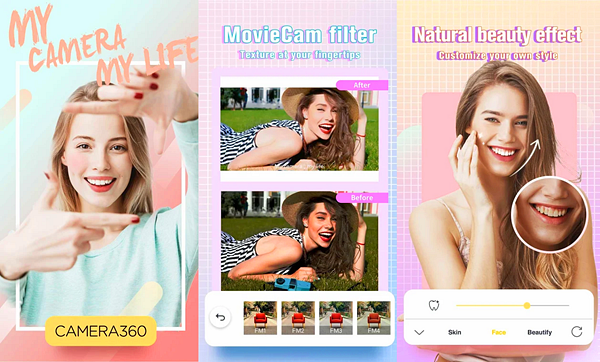 This app is specially designed for people with a strong fervor for taking selfies and photos whether in the standard two-dimensional setting or in a 360-degree setting. It’s like having a professional photo studio on your phone as it comes with professional editing tools to help you further enhance your photos. It also has other photo and video effects and customizable filters to recreate a virtual reality for your images. Who else can make the best 360-degree camera apps for Android but the Android maker itself? 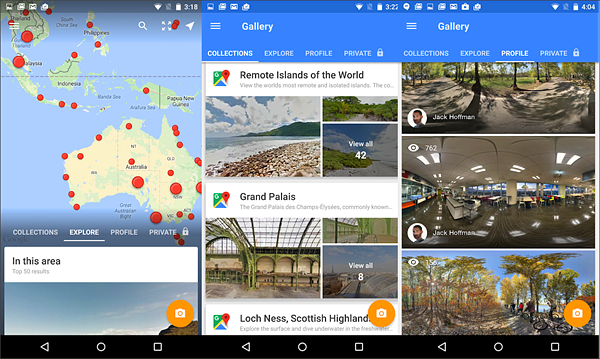 Google Street view was specially designed to create 360 photos of your environment or the place where you are using your Android phone’s camera. Once done, you can share your own Street View to a global community for the world to see. One of the unsurpassed features of this app is it allows you to step into a virtual world of global locations. You can see the best landmarks, natural wonders and tourist attractions around the world at the convenience of your home. It’s like traveling around the globe at your convenience for free. Indeed, this app is a must own application that literally allows anyone to see the world within their fingertips. 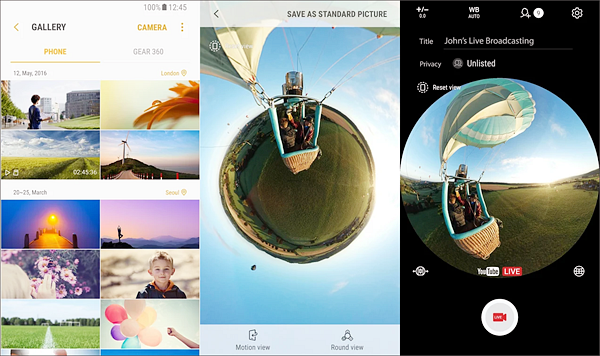 Touted as the Instagram for Panoramas, Panorama360 or P360 for short is one of the premier apps to capture 360-degree photos. It is one of the pioneering apps for 360 apps when panoramic capture cameras were first introduced in smartphones. A major benefit of this app is its easiness to operate that even your 3-year-old kid can do. 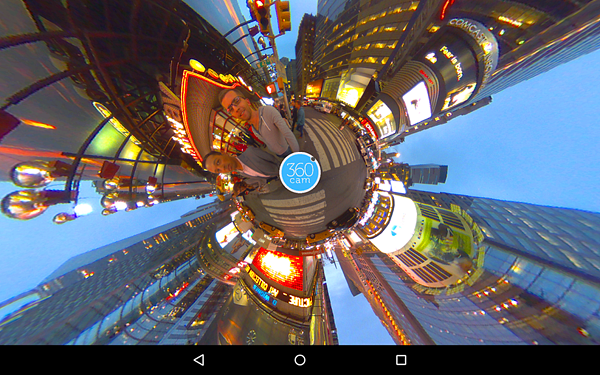 You can capture 360-degree pictures in a jiffy with a single tap. Simply press the capture button and slowly pan your phone steadily from left to right. The captured frames will then be automatically tacked into one splendid landscape photo, which can share & viewed as 2D or 3D images. And just like an ordinary photo, the photos can be uploaded to major social media apps like Facebook, Twitter, and Tumblr. It also comes with an automatic geotagging to indicate the place you took the pic for proper documentation. Another app that allows capturing of 3D images is Fyuse. It generates collaborating photos that change as you incline and pivot your phone in your hand. This app captures spatial moments that permit you to view your position in different perspectives or angles. It’s like having additional eyes at the side, back, top or bottom of your head, thus allowing you to see snippets of things that you won’t otherwise notice because of our limited viewpoint. 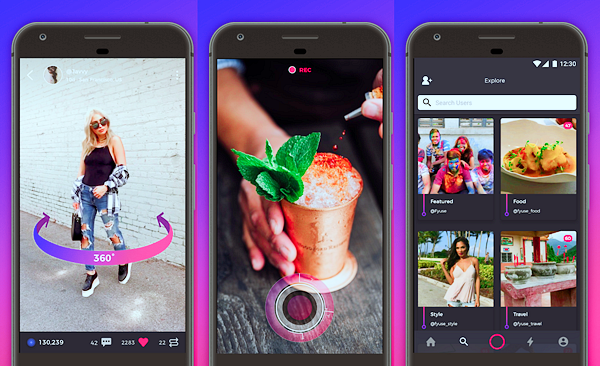 Like the aforementioned apps, Fyuse is also a sprightly social platform that allows you to share images through standard social media sites. Another innovation from the Google masters, the cardboard camera takes panoramic shots to greater heights by capturing the ambient sounds of you virtual reality photograph. Capturing 360-degree photos is one thing but including the sound during the moment adds a new immersive experience that not only allows you to remember the views but feel them better. The VR photos by cardboard camera allow you to experience once again those prized moments. Whether it’s a vacation, travel, family reunions or any celebration that you seized, Cardboard camera can all bring them back to you. 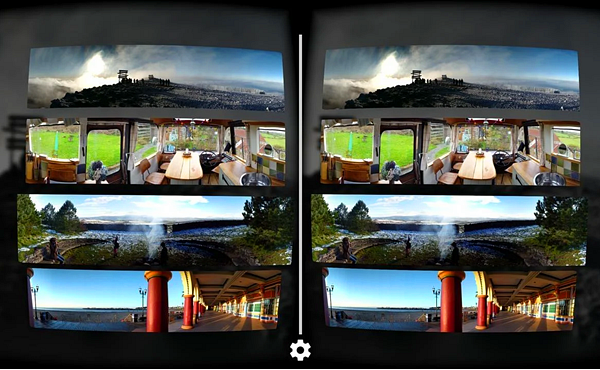 This 360-degree camera app is specifically designed for creating picturesque, unified 360 panoramic pictures easily by using your phone camera. It has an orientation sensor for guiding you to capture pics at the correct angles for a perfect and complete panoramic view. Its free version provides the basic components of auto image stitching, 360-degree panoramic creation, zooming, exporting and sharing online and optimization. It’s pro version allows setting live wallpapers, taking pics in high definition and portrait mode. As one of the best 360-degree camera apps for Android in creating panoramic photos, Photaf Panorama Pro is ideal for people in the real estate business for capturing picture-perfect landscapes of properties and lands. The 360cam by Giroptic is one of the best Android apps for 360-degree photos designed to capture video and photos with ease from different perspectives. This app basically transforms your phone as a remote control to operate the Giroptic 360cam, a funky egg-shaped camera device which can capture 360-degree photos or videos. This separate device uses three equidistant optical lenses and three microphones for capturing sounds and images. With 360cam, your phone not only allows you to operate Giroptic 360 camera but allows you to transfer 360 photos and share them to your friends with ease. A key feature of this app is it provides a live preview of your shot before making a capture. This allows you to prepare, plan and take pictures more seamlessly. It also has a built-in player that allows you to watch 360 photos and videos. 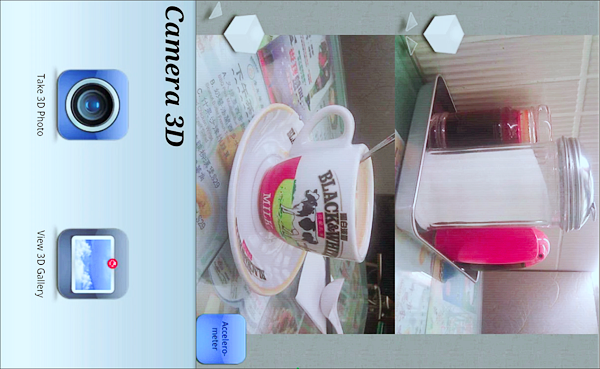 Camera 3D is another alternative app you can use for making 360-degree photos. This app is specially designed for creating “GIF” images on with your phone. Gif images are animated raster graphics file commonly used as for simple product demonstrations, visual instructions, app demos, social accounts pops and beautiful displays. The short animation provides life to a rather static photo. This app allows taking multiple photos for creating a “3D” image set which you can animate by its vibrating stereo function. You can opt to take multi-angle pics and use the accelerometer to simulate movement. At the moment, the app is in its beta version and is actively soliciting feedback from users for improvement and enhancement. Samsung Gear 360 is easy to grip portable camera that allows recording 4K videos and lives broadcasting, which is perfect for recording your memories and documenting your adventures and celebrations. Samsung Gear 360 app on the other hand, basically turns your Android phone as a remote control device to operate the Samsung camera. You can shoot videos remotely, store files in your phone and share content with your friends via social media platforms. The app is supported by almost all the latest Samsung phone models and some other brands of Android phones. The above mentioned are the nine best-used 360 cameras for Android phones. Which one do you like the most? 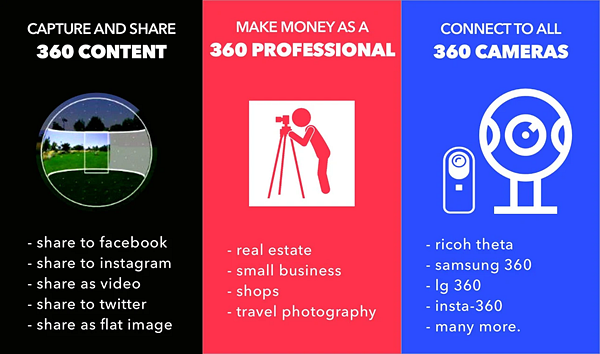 While they are great and support the capture of 360-degree photos, the quality of the pictures you take would still lie greatly on your individual artistry, imagination, and skill. For one, a steady hand is fundamental for capturing buttery smooth images and videos. Thus, we cannot solely rely on or blame the app for blurry pictures or weird images. No matter how great these apps could be, taking pictures with a phone by your hand will always subject its output to human errors and limitations. Every mobile phone user is a photographer, especially when he finds a funny 360-degree camera or beauty selfie camera. However, the memory of the mobile phone is limited. As more and more photos are stored on the mobile phone, we will find that mobile phone memory is seriously insufficient. At this time, our most common solution is to delete some photos to release the memory. However, due to a hand error, we may have deleted a photo that we have kept for years or click the “Delete All” button by mistake. If you have experienced it, you know that feeling. Fortunately, technology is so powerful. There is special software to help us out of this situation, that is Gihosoft Free Android Data Recovery. 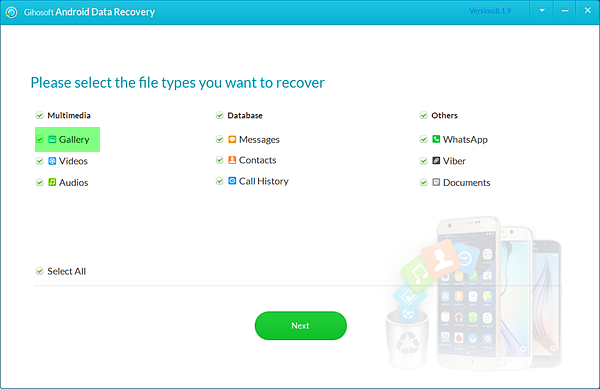 It is a professional file recovery software designed for Android users, which can recover up to eight types of data, including photos, videos, music, contacts, call logs, WhatsApp messages, etc. Thus, don’t worry if the photo is lost or deleted, as this powerful software can help you recover deleted photos from your Android phone quickly.